We know that Cambridge is home to one of the most prestigious Universities in the world, does being surrounded by such a history of education and academia influence the culture of the town? How has it influenced you? One of the main things you’ll notice about the city, particularly at this time of year, is that there are tourists everywhere! So actually, during the summer months especially, a lot of how the city influences my life and more specifically my blog is the constant battle to avoid the places they’re congregating, so they don’t keep walking in front of my camera! The unfortunate thing is that the really beautiful architecture of the colleges that Cambridge is famous for tends to be quite central and the city itself is fairly small, so it’s not as simple as rocking up to King’s College and taking some photos. The example I often give when I explain how tricky it can be to be a blogger shooting around Cambridge is the time my partner and I researched a quiet side street (with nearby parking – bonus!) and how seconds into the shoot a huge group of tourists appeared out of nowhere right next to us – which is when I noticed the blue plaque on the building that declared the house we were in front of was a place Darwin had occupied…! It’s a beautiful city to live in for the amazing architecture and places of interest to visit, but it’s not ideally sized for the amount of attention it gets… and it’s an absolute nightmare for parking! Really though, I think one of the biggest impacts it’s had is to thoroughly spoil me – and when we go to other places in the UK I realise how lucky I am to have it all on my doorstep. Tourists everywhere at King’s College! Walk us through a quintessential day in Cambridge. Well, you’d probably do well to start with a hearty brunch in one of the many independent cafes on the outskirts of the city centre, so you can spend the afternoon exploring the sights. 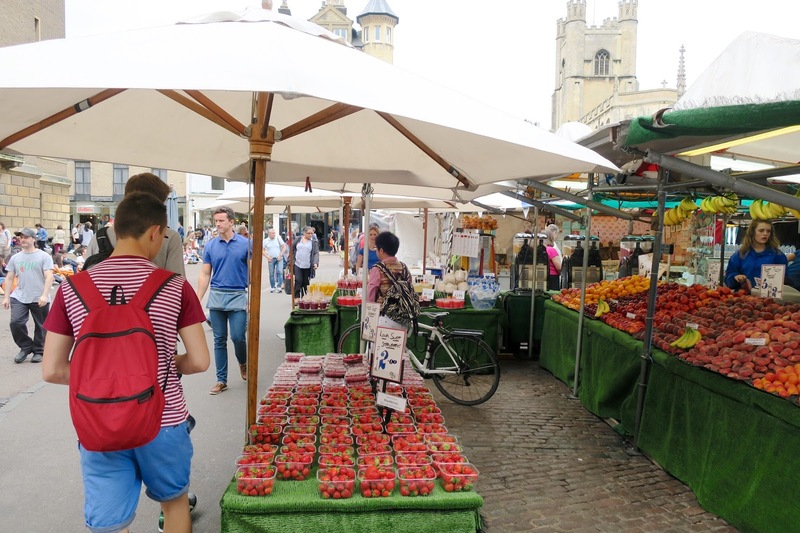 If you’re in Cambridge you have to see King’s College, so I’d head over there via the market square, where there’s loads of permanent stalls offering everything from street food to retro video games. 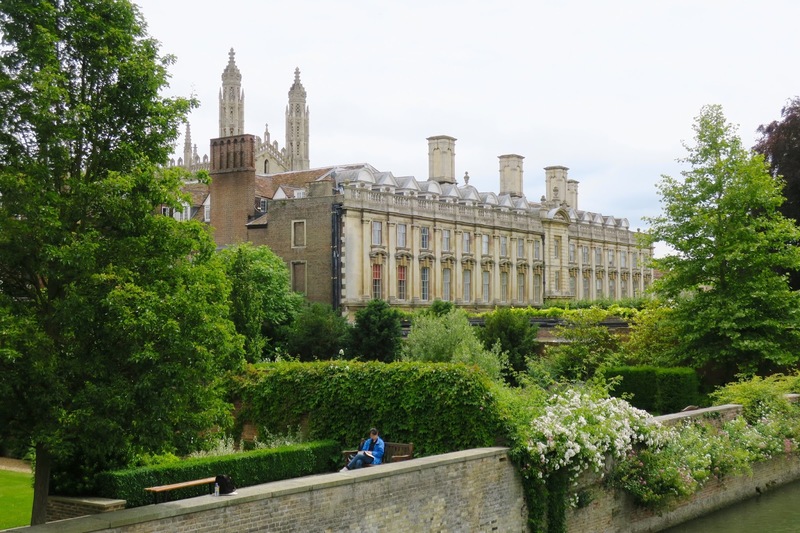 Perhaps pick up a homemade brownie while you’re there, then take in the sights of King’s College and try to leave some time for walking round ‘The Backs’, which are the grounds behind it running alongside the river. 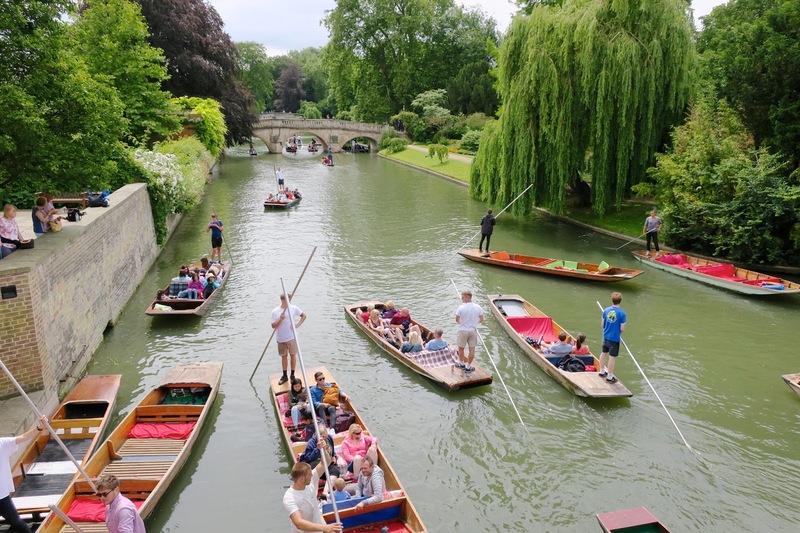 Speaking of the river, your next stop has to be a punt on the Cam! If it’s your first time, have a guide do all the work and tell you all the university’s secrets (they’re usually students so they know their stuff), but if you’re feeling brave it’s a lot of fun to punt yourself (or be punted by a hapless friend – I have been in punts where said friend has fallen off the boat, which can provide a hilarious turn to your day!). 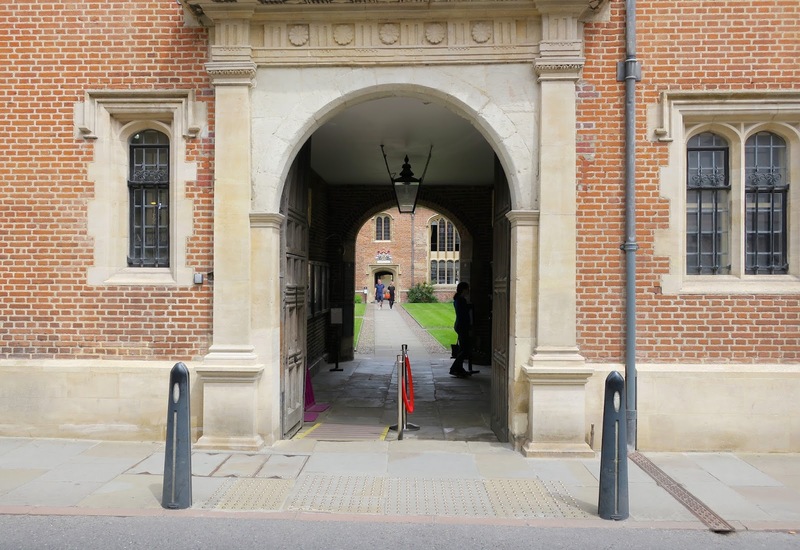 Fit in a look at some of the other nearby colleges (and more on that below) if you can and then have a big dinner at one of Cambridge’s excellent restaurants, which I’ll elaborate on next! If you’re lucky, you might be able to finish your day with a good gig at the Corn Exchange or the Junction, where I’ve seen a couple of great comedy nights. As always, we’re interested in food! Tell us more about the greatest eats Cambridge has to offer! What must we try when we’re visiting? You’re spoilt for choice really as there’s a lot of great restaurants and a range of cuisines on offer in a city as diverse as Cambridge. 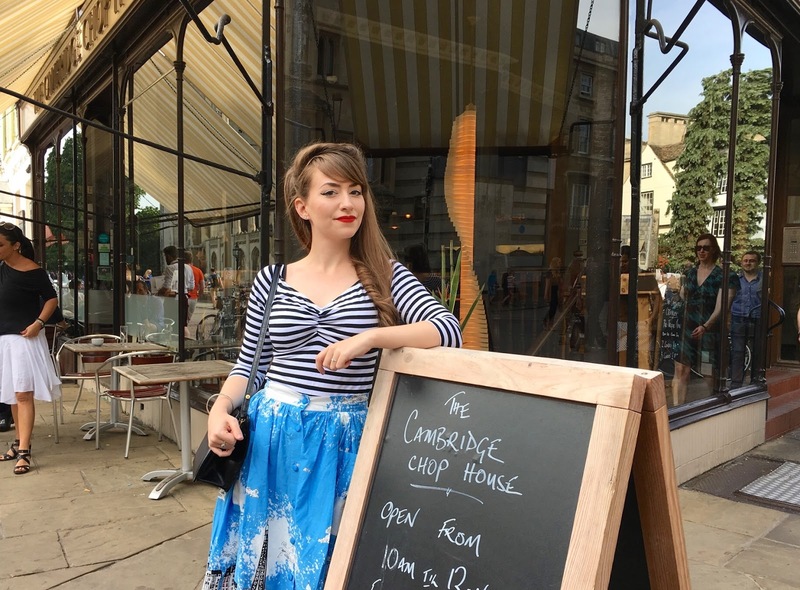 One of my personal favourites is The Cambridge Chop House, who do a mouthwatering steak (for cheap on the pre-theatre menu), along with many other dishes, often quite British in flavour and all done incredibly well. Fun fact: it was also on the way to this restaurant that my partner tripped over a paving slab and gave himself hiccups… so you never know your luck! Other than that, one of my favourites was a tiny little restaurant down the road from me in a converted house called Backstreet Bistro, but unfortunately it closed in May this year (I’m awaiting its reopening under new management with baited breath!). You’re a vintage loving lady living in a very vintage city! Which of these places are at the top of your list for visitors and where is fave place to shoot outfit photos? That’s a tricky question as there’s so many great places to visit! I actually tend to love the green spaces that belong to some of the colleges as I’m not a fan of busy areas. There’s a particular spot near Darwin College which is essentially a patch of grass near the main punting area, which in good weather is great for picnics because you can do some really fab people watching! Recently, we sat and watched a bride being punted down the river by her new husband. I also really love wandering around the grounds of the colleges that are freely accessible to the public and aren’t guarded, but fewer people know about. I may be giving my secrets away, but one of my favourite blog photo locations in Cambridge is Magdalene College’s grounds. I only found out we could easily access them because one of my closest friends studied there and it’s always virtually deserted every time we’re there, yet it has the prettiest view of the river and tonnes of different picturesque spots for photos. Hope you enjoyed this insight into my beautiful (now, sort of) home! Ci Ci, you always have beautiful clothes. Whenever I see your outfit I'm always green with envy. I would love to visit Cambridge one day. Looks like such a charming place to visit. Through all the time I lived and worked in the UK I never managed to visit Cambridge. Must remedy that some day. It's not the biggest city so it makes sense to me why it might get overlooked! I hadn't considered the tourist implications at all! Super annoying for taking your blog pictures. But you always manage to get incredible pictures anyway so I'm sure a lot of planning goes in to it. I have seen shockingly little of the rest of the UK, there are so many beautiful, must see places! Seriously, tourists are such a constant pain in the neck for all the great places you'd love to take photos but simply can't! And I'm totally the same re being guilty of not exploring more of the UK!! This was such a fascinating read! I've been to London, once upon a time, but I wasn't able to get out of the city at all. Cambridge sounds lovely, and is love a chance to see the university some day. I think you do a great job finding scenic shooting locations while avoiding the tourists. That can definitely be a tough one! Great post. I've always wanted to see Cambridge. I understand about the tourist crowds. We went to Circular Quay and The Rocks area last weekend for a festival and the crowd was so huge we left and spent the day in the quieter back streets. However as I know what it's like to be a tourist in a strange land I never complain and am always happy to help with directions and photos. I love that first photo, it reminds me of Three Men In A Boat. I've only been to Cambridge a couple of times – once on a university Open Day (and I wish I'd applied there instead of Oxford in the end!) and once to visit a friend, but both times were far too short! It's a gorgeous city and somehow has had gorgeous weather both times I've been 😀 Your photos show it off so well too 🙂 I'm hoping to get to visit again sometime in future. Good weather… really? In that case could you please come back asap to get rid of the rain cloud we seem to now be firmly back under?! Ooohhh, what a thoroughly delightful post this is – especially for devoted armchair travellers such as myself. Huge congrats on getting tapped by ModCloth like this. I can just imagine what a stellar thrill that must have been. Sending positive vibes and lots of energizing hugs your way as you slog it out with your big move. It looks lovely! And you'll still be able to nip back to it from your new home. 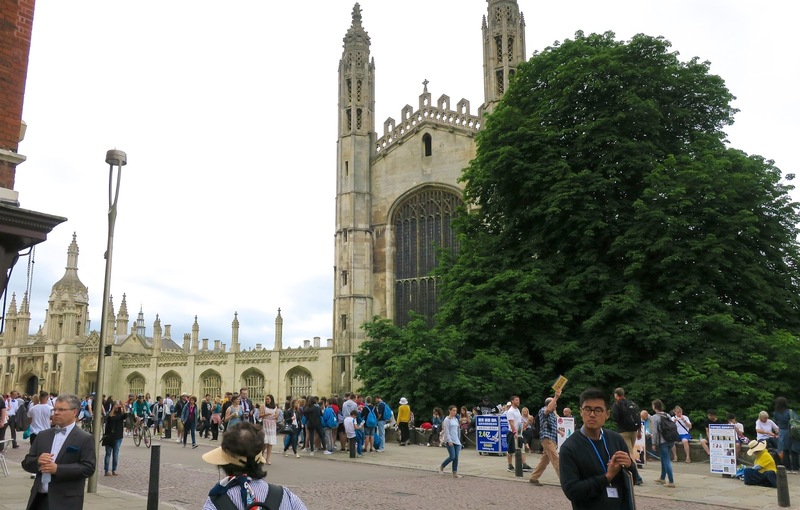 I saw pictures of Cambridge before and I find it is a beautiful city to visit, if you´re student of course, or are interested in architecture, or history, etc. I have been in the UK several times, most of them in London, but I visited Plymouth and Whitechurch as well. I understand tourists can be a pain in the *** (were your spine ends) but at the same time I´m living in the oldest city of Germany and we get plenty of tourists all year around. If you are curious you look for the name of Trier and you´ll see why is soooo visited (it´s good for the local economy as well). By the way, congratulations for being a home owner now! I was going to buy the house I´m living in in June but one week before, I was taken to a meeting in which management of the bank I was working for announced me I had to go, like that. I was quite lucky not to sign the purchase agreement and later being layed off/made redundant. Well, that´s life. For the moment I´m taking "holidays" and I´ll begin to look for a job in September. I have family commitments in August and I won´t be able to dedicate too much time to it. Have a great week, enjoy the small village you´re going to live in (no so many tourists around), and try to take a rest after moving home, it´s exhausting! That's so gutting about your house and job! I'm so sorry to hear that, Eva. Keeping my fingers crossed for you that things work themselves out in September. I do know how lucky I am, but now I sure feel even more so. I would have been heartbroken.